Buster & Moo, the next book off the presses is complete, edited, cover finalised in all its forms and I’m ready to go. So I just have to format the lovely little thing and launch it into the ether. My aim is to have it available in all its forms by mid July. Woo! If any of you lovely people want to do me the honour of an honest review to go with that launch would you contact me via the doofee on the bar at the top. I’d be ever so grateful. If you aren’t sure if it might be your sort of thing, here’s the blurb. If anyone would welcome a guest post from me, that too would be possible. Happy to provide some, tangentially, linked content to the new book or whatever you like. As with the review please get in touch. In other news I have had my super-short fiction anthology back from my editor for a while and that’s where I head next. 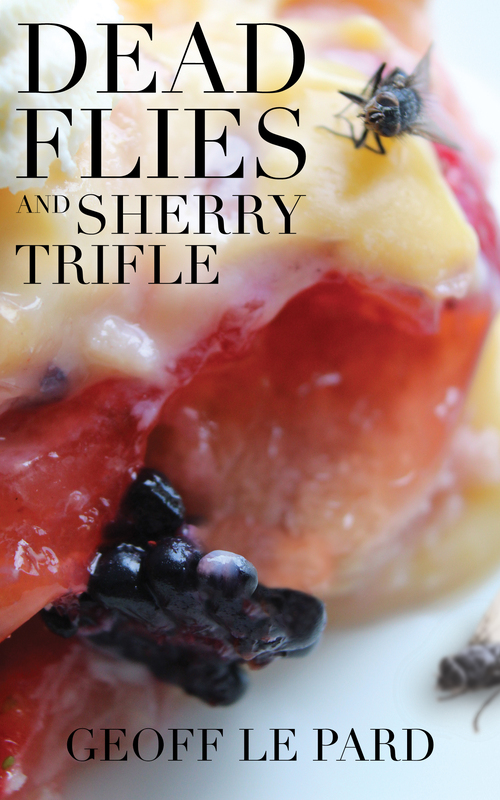 Part of the delay has been because I’ve just finished the first draft of the sequel to my first novel, Dead Flies and Sherry Trifle. We continue to follow the misadventures of Harry Spittle, now living in London and trying to convince himself as much as anyone that qualifying as a solicitor is the right call. As a teaser, here is the opening chapter. Dad. He’s one of three people I can think of who call me by my full name, even though he knows I hate it. He does it when he’s anxious, unlike Mum who does it because she still thinks I’m 8. Immediately I’m on the back foot, feeling guilty. “Hi Dad.” I try and sound friendly but business-like, hoping he’ll be quick. I’m not meant to take personal calls at work, even though everyone seems to and not care. Indeed, the only people who do care are the two senior secretaries, Jean and Edith and they terrify me with their extensive range of tuts and eye-rolls. “Oh. Okay.” In truth, it’s been cut off because we’ve not managed to pay the bill. My flat mate Gary Dobbs, Dobbin to his close friends, promises he’ll pay it ‘soon’. Not really, not that I say. My day has ranged from fairly dull to almost terrifying. Par for the course, actually. Ten minutes of Dad wittering on about home seems attractive. I must be getting old. “If you’re quick.” I’m quite pleased how grown up I sound, like I’m important. I lean back in my chair and stare at the ceiling. I’ve not noticed before, but it’s covered in cobwebs. The legal firm I work for occupies two adjoining Georgian buildings just off Welbeck Street, a stone’s throw from Oxford Street and everything needs some attention. I’m wondering why Dad wants to play silly games when Jean appears in the doorway. I know she knows this is a personal call and try and avoid eye contact. Please hurry, I silently beg as I pretend to open a file on my desk. Jean hasn’t moved; she’s not easily fooled. I glance up and she makes a sign that I need to end the call. Jean coughs; her cough is not something one lightly ignores. As I put the phone down I mentally revise the number of people who call me Harold to four. Sven always called me Harold. One of many reasons why I found him intensely irritating. My name is Harry Spittle and I’m an articled clerk at Clifford Risely and Co, solicitors and commissioners for oaths. I’m into the last 6 months of my articles at the end of which I will be admitted to the Roll as a solicitor of the High Courts of England and Wales. If all this sounds at all glamorous, then the job isn’t. It’s closer to being indentured than trained. Jean Sampson settles in the chair next to my desk, note pad on her lap, ready to take dictation. “Who was that?” She is seriously ancient and intimidating in a hand knitted cardigan and pearl necklace sort of way. Few things irritate Jean more than personal phone calls, though her marmalade not setting properly runs it close. I want to lie but she’ll know. Fortunately, she’s had the desired effect of making me squirm so nods at the typing she has placed on my blotter and lifts her pencil. This once, she doesn’t expect an answer and it’s time to work. Her magnanimity will come at a price. Jean is both my worst nightmare and my saviour. Take today. I’m charged with drafting a Will for Sir Penshaw Grimsdale, a very important client of the firm. Why me? Because the partner who deals with Sir Penshaw’s affairs, Jeremy Panther is away on holiday – that’s why Jean is ‘working for’ me, though, of course it’s more the other way round. I gave her the draft to type this morning and now it’s back, challenging me to look at it. I wonder how much she has changed. She knows so much. Among her special skills is the ability to make it quite plain she cannot imagine how I’ll be ready to qualify next Christmas by the expedient of tapping the rubber on the end of her pencil on her chin. Technically I will be ‘qualified’ as a solicitor though Jean has made it plain she thinks ‘qualified’ should be given the same meaning as would be used in the expression ‘he has been a qualified success’. The truth is I agree with her; I’m really not very good. To be fair, I think that must be the general view since I’m paid a salary that leaves little for food after rent and encourages a diet of pot noodle and bread crusts. How can I be a purveyor of legal advice if I haven’t the courage to dictate to a secretary? When I started, I was expected to use a Dictaphone which was bad enough. But talking to a real person is ten times worse. She knows more law than I have cells in my body. I know there’s no need to check but I look anyway. Gosh, this is good. I really don’t need to do anything; it’s all here. My eyes are drawn to the yellow sheet that’s tucked between the typing. It’s a telephone attendance note, written in Gloria’s looping handwriting – Gloria Eagle is our receptionist, a complete contrast to Jean but almost as terrifying. I tug it out and read it. Harry. Penny rang. She’ll be moving back in, in a couple of days. Penny is, was, might still be my girlfriend. We shared a tiny room in a flat between Battersea and Wandsworth with Dobbin, my best friend from University and Tim Unwin, who is some old family acquaintance of Dobbin’s. She moved out after a complete misunderstanding. She happened to find me locked in an under-stairs cupboard with her best friend Natalie. It didn’t help that Natalie and I have some history, nor that when we stumbled out there was a sooty hand print on Natalie’s left breast which Penny surmised was mine. I was trying to find the door catch but neither of them believed me. It wasn’t like we were there because I planned it. We were waiting for Penny to come home when a fuse went. I asked Natalie to hold the torch while I fixed it; only she dropped it, the bulb broke and the door shut behind us. Maybe I should have made more of a protest but they were both so bloody sure I did it deliberately I left them to their righteous (in their eyes) indignation, expecting to be forgiven when I got back. That backfired because when I did return from the pub, there was a note saying Penny was going to stay with Natalie at her poncy flat in Wapping. She lives there with her second husband, a slime-ball called Miles. Penny can’t stand him so I was sure she would be back pronto but she’s been gone three weeks and now I’m not sure where we stand. If she’s coming back, it must be good news, though. Doesn’t it? Sir Penshaw Grimsdale, Bt is the heir to a considerable lump of Wiltshire and an equally considerable lump of estate duty from the death of his father. The only reason Jeremy is his lawyer, given Jeremy isn’t yet 30, is because he was the protégé of Crispin Martindale, a venerable old solicitor who’d acted for the Grimsdale family for eons. Mr Martindale was a consultant to Clifford Risely; when he died, he bequeathed his practice, not to one of the two partners of Clifford Risely, but to Jeremy. That won Jeremy a surprise partnership and access to Jean, who is probably the single reason why Sir Penshaw is still Jeremy’s client. Naturally neither Jeremy nor Jean have told me any of this. The source of all gossip is Gloria. Gloria is what my mother would call a ‘modern’ woman, meaning she dresses in a way of which my mother would not approve. There’s a lot of cleavage, for a start. She’s tall, taller than me in her heels and teases me about Penny. I pretend to enjoy the banter but in truth I’m petrified. With Jean and Edith – Edith Yardley is Philip Risely’s secretary; he’s the senior partner, the other partner being Lucinda Plum-Wardle – Gloria forms a triumvirate of women who, together keep the business going. They also hate each other in a brittle, genteel way. “Ok. Message for you from your dishy flatmate. He’s been promoted or something; he’s having drinks here.” She hands me an attendance slip. “You think he’d invite me?” She smirks. No! Thank You. Big Boy! Dobbin never mentioned it but it was gone when I got home later. Gloria doesn’t believe in titles; she’s a staunch republican. This entry was posted in Buster and Moo, novels, publishing, writing and tagged buster and moo, novel, writing. Bookmark the permalink. Oh I am so excited!!! His Geoffleship I would definiteky welcome a guest Post from you!!! 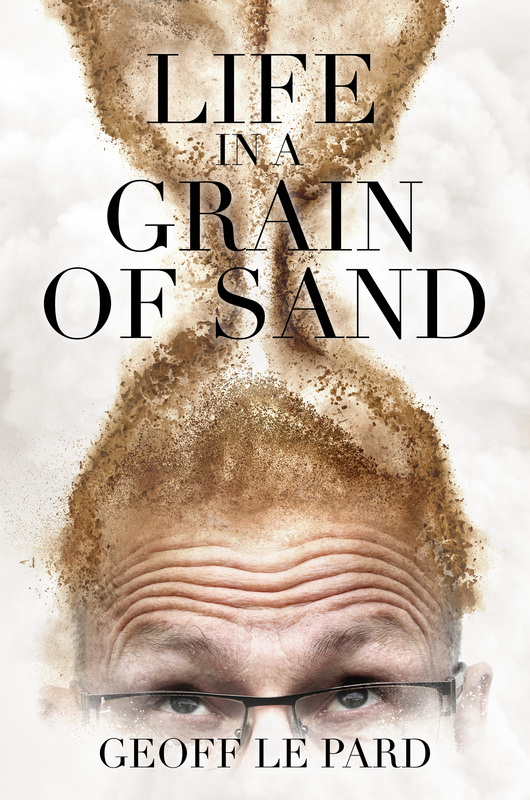 Mid-July sees the release of Geoff Le Pard’s latest book.. He is looking for some pre-publication reviews so if you can help out please head over and contact him directly.. the excerpt looks great. Congratulations on forthcoming publications. You’ve been busy. I’m in awe. 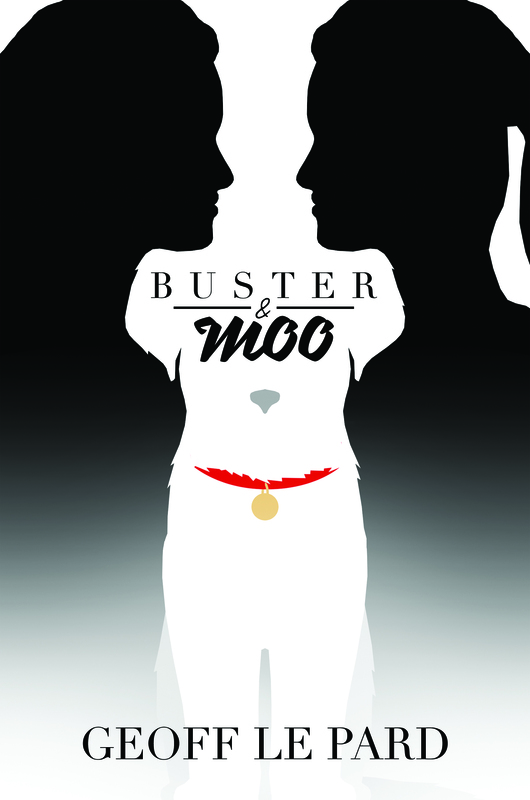 Buster and Moo sounds very intriguing. Very swish cover! Would be happy to review. Oh thanks Linda. I’ll put you on the list..
Count me in on the blog tour, Geoff. Happy to help out and promote the book for you. Thank you Hugh. I’ll let you know when I’ve set things up. Wow! Geoff, you have been busy! Congratulations on all your achievements. No, of course they won’t!! I’ve been looking forward to this book! Looking forward to this! (And your short fiction book, of course! Squee!) I’ll email you with some ideas how I can help spread the glorious word. Wow, you’re on a roll. I love that cover.